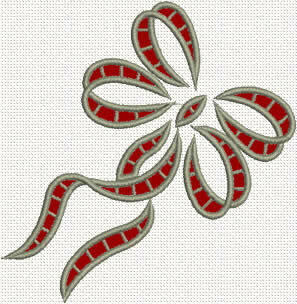 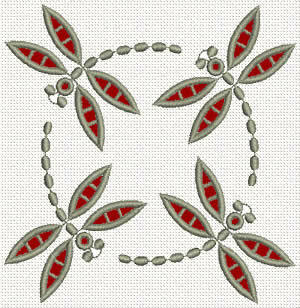 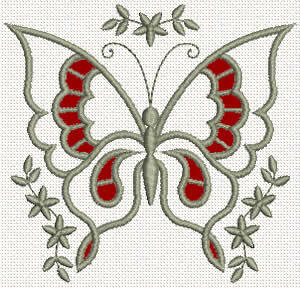 A set of 9 lace machine embroidery designs - 1 lace bow, 5 lace butterflies and 3 lace dragonfly designs. 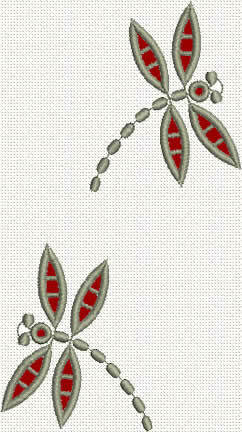 The designs from this set are suitable for decorating e.g. 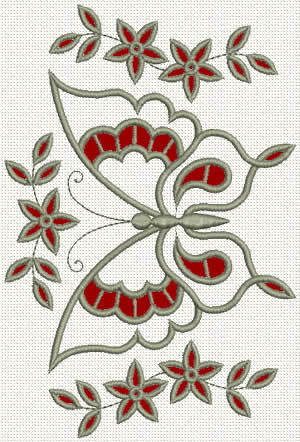 table cloth, pillow cases or similar projects where cutwork lace designs are required. 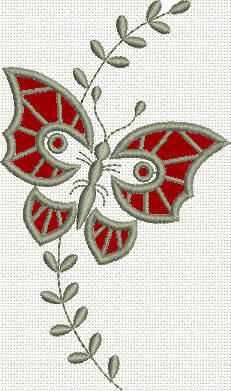 Size: 5.11 x 5.12 inches (129.9 x 130.1 mm); Stitches: 10,578. 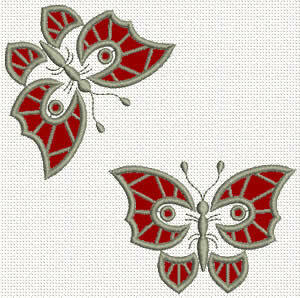 Hi,I like them very much. 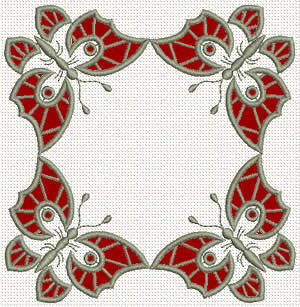 I have added them to my favouites for now.